We have a very friendly reputation throughout Oxfordshire and are always looking to welcome new players of any ability to join us. 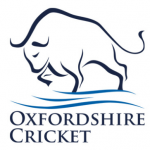 We are running our 2019 winter nets at North Oxfordshire Academy 3.00–4.30pm on Sunday afternoons from 10th March through to 14th April. We also practice outdoors in our own nets and the Windmill Community Centre from late April onwards. 2019 League fixtures will be published soon or can be found on the OCA website.